If the depth of the load bearing beams under the deck becomes a problem this can be reduced by using a truss. The stiffness is supplied by the handrails and this allows significant reductions in the thickness of the deck. 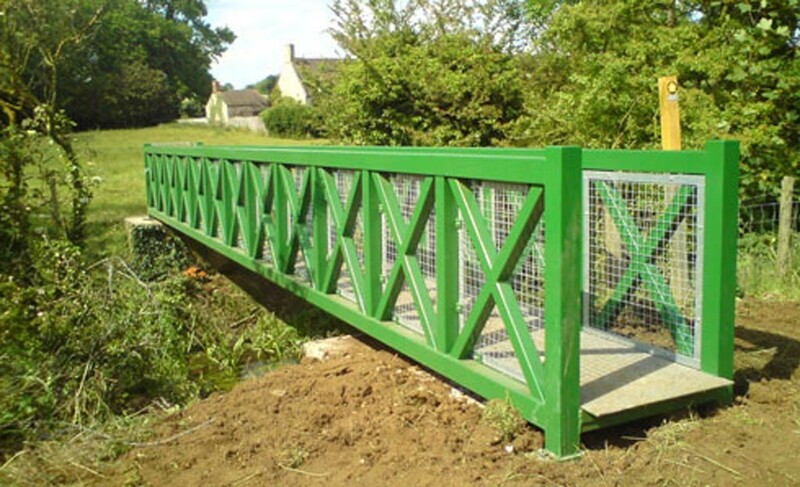 Trusses also have an attractive appearance and can add to the appeal of a bridge. We can supply all types of truss (there are many variations). Our most usual forms are: Vierendeel, Pratt, Warren and Modified Pratt.